Fill with 3 CE Tech snap-in inserts (sold separately). 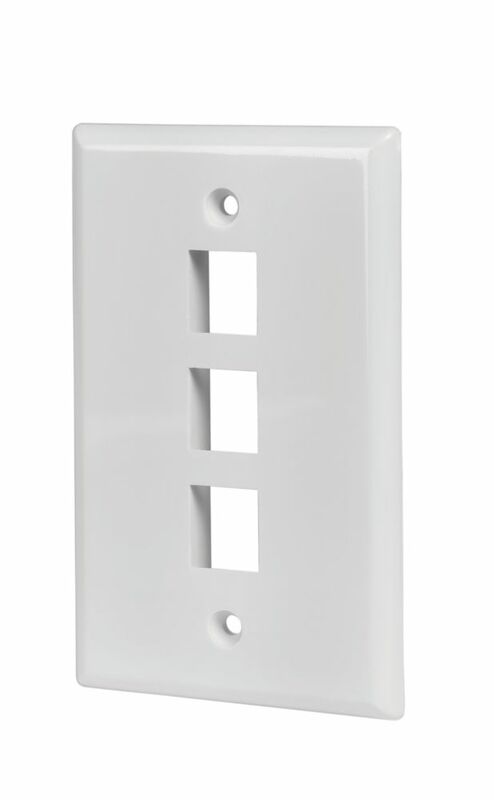 3-PORT WALL PLATE, WHITE The CE Tech 3-Port Wall Plate is used to install low voltage keystone inserts to a desired location. The wall plate's low profile design mounts flush to the wall. CE Tech snap-in inserts easily snap into the port of the wall plate.